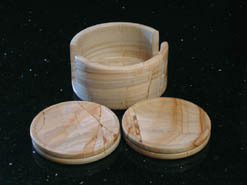 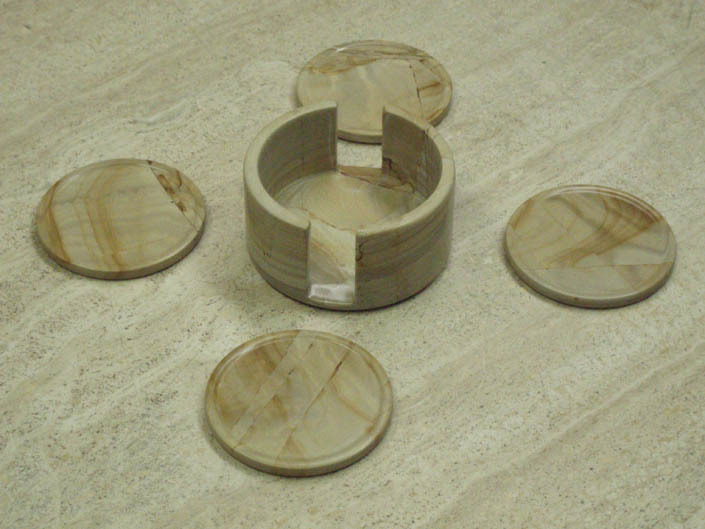 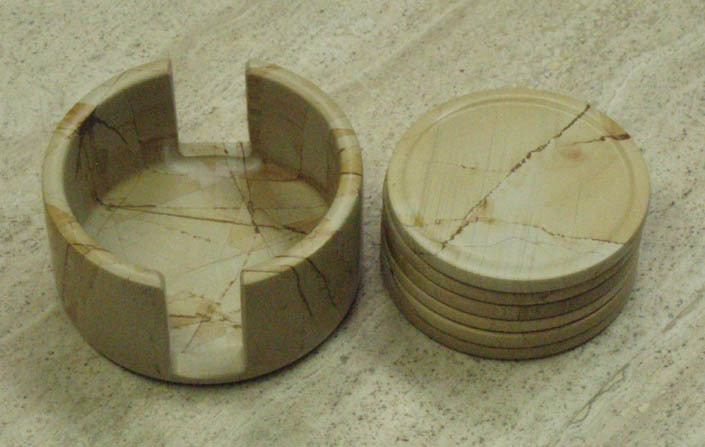 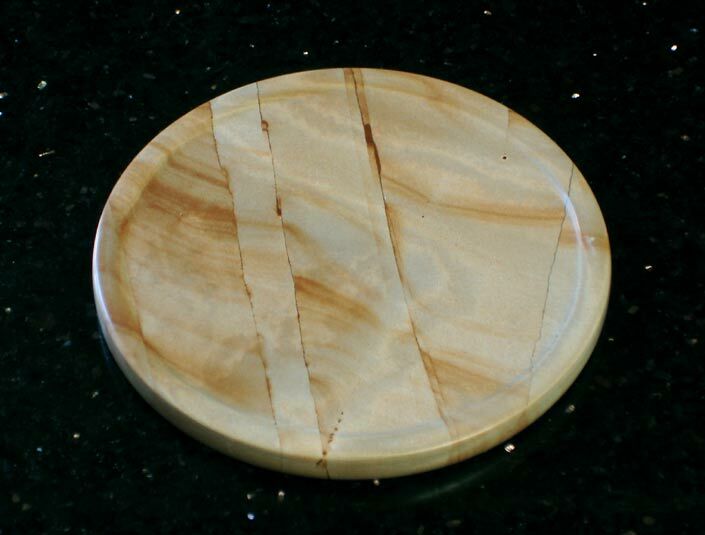 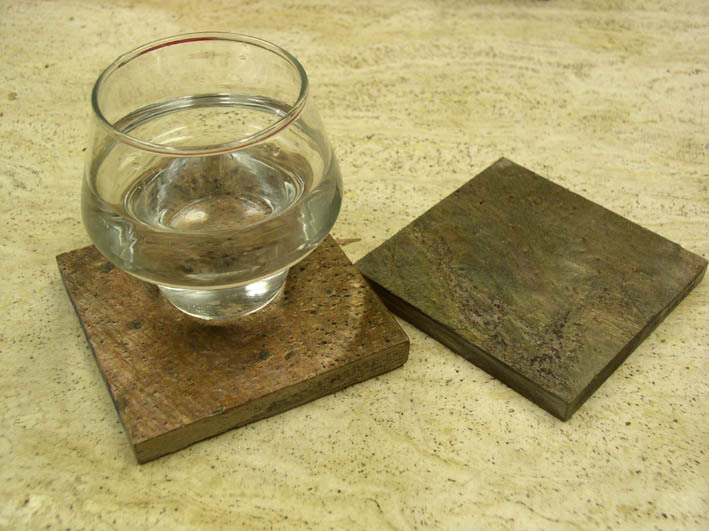 Within the surface of each of these polished Teak drink coasters is an abstract work of natural art, whose beauty and intricacy is unmatched by any human hand. 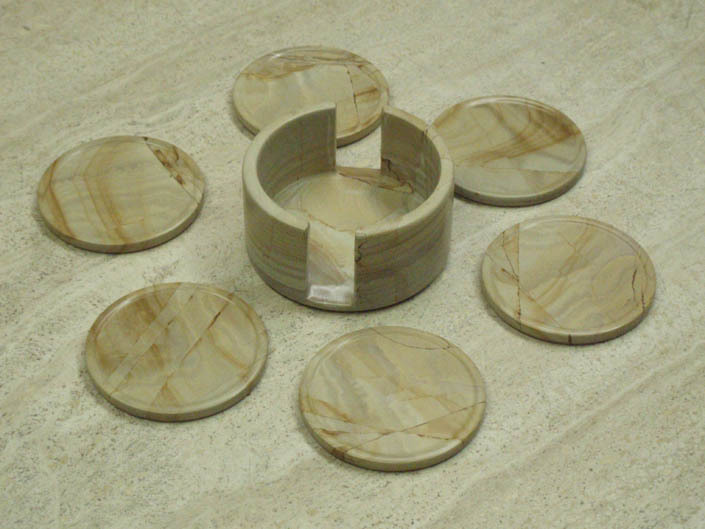 While the stone itself is hand carved and polished, it is the natura features within the material that give these sets their unique character, and make them suitable for the most demanding of home decors. 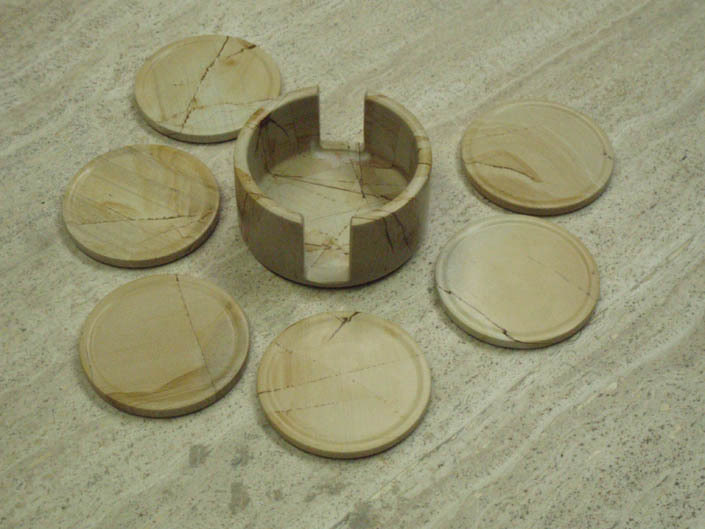 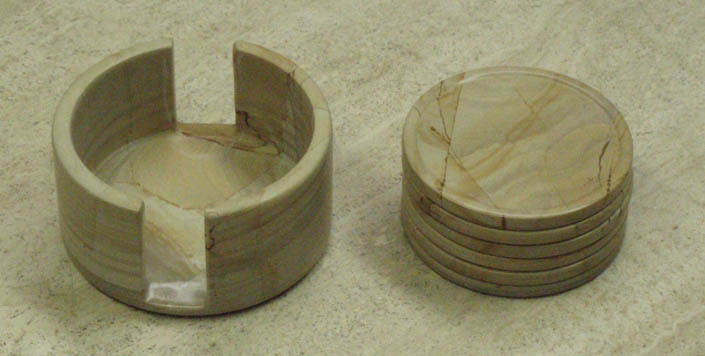 Your set will contain 6 natural marble coasters, each with their own unique features which make them unlike any other in the world. 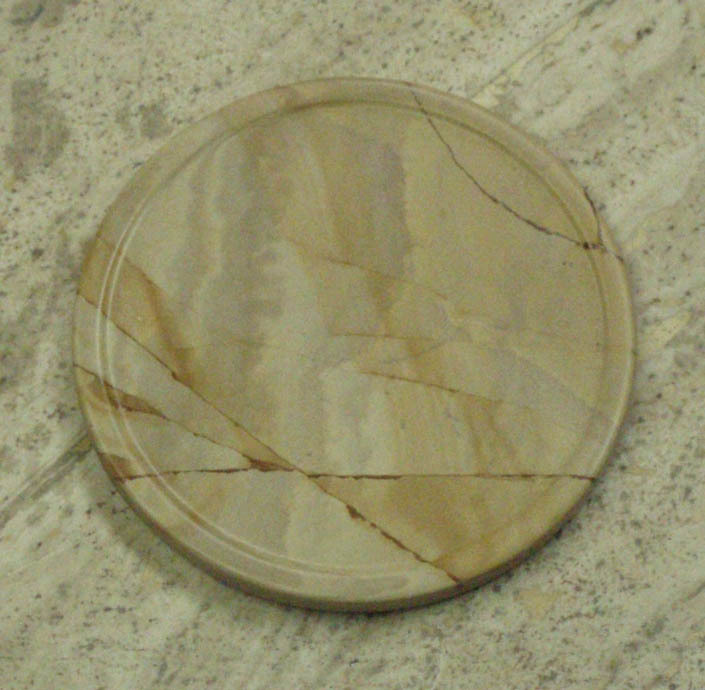 Your set will also include a beautiful matching marble coaster holder, which will make it is easy to organize and display your pieces.